You may have noticed a new bar has opened on the roundabout at the end of the Tyne Bridge as you head into Newcastle. Swan House as I still often refer to it, or 55 Degrees North is now occupied by Antler Alpine Bar & Kitchen, with New Buddha continuing to serve oriental cuisine on the upper level. We headed to Antler for a cocktail on our way to review Fat Buddha for owners Chrysalis Leisure. Antler – which has an external garden which is open year-round – has been inspired by some of the world’s top ski lodges, with stripped wood, fires and quirky additions including a life-size reindeer and seating in ski gondolas - one is adorned with the signature of Eddie the Eagle who opened the bar earlier this year. We started our review in Antler with a Rhubarb & Ginger Spritz and a French Martini. And we discovered we had both made really good choices. The rhubarb and ginger one tasted delicious, not at all tart but sweet, in fact, has quite the taste of sweeties. 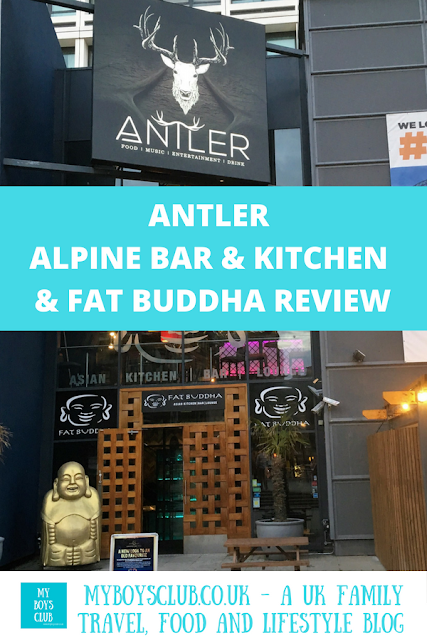 Inside the bar has an alpine look and feel, lots of long wooden tables, and an open mic night taking place. However, as we are enjoying so much sunshine this year we headed outside to sit in the year-round garden. Once our drinks were finished we were led upstairs and seated in the Fat Buddha Restaurant where we took our time looking at the menu. The restaurant is very stylish and we had our own large booth to sit in, There is also a really lovely looking private dining area too. For me this was an easy choice, I love salt and chilli prawns. These were hot, spicy and really tasty. The Wasabi spiced edamame beans, suitable for vegans, chosen by hubby were delicious according to him. Wasabi is not my favourite flavour but I do love edamame beans but there was probably just a touch too many for one person, but tasty all the same. Spoilt for choice I opted for the salmon with asparagus. This was beautifully presented. It looked more like art than it did food, but definitely tasted like food and I’d happily order this again. The Tofu vegetable stir fry, again suitable for vegans, was tasty enough but for vegans and vegetarians, it would be nice to see more sauce options. And the side of chilli fries we had was really good. 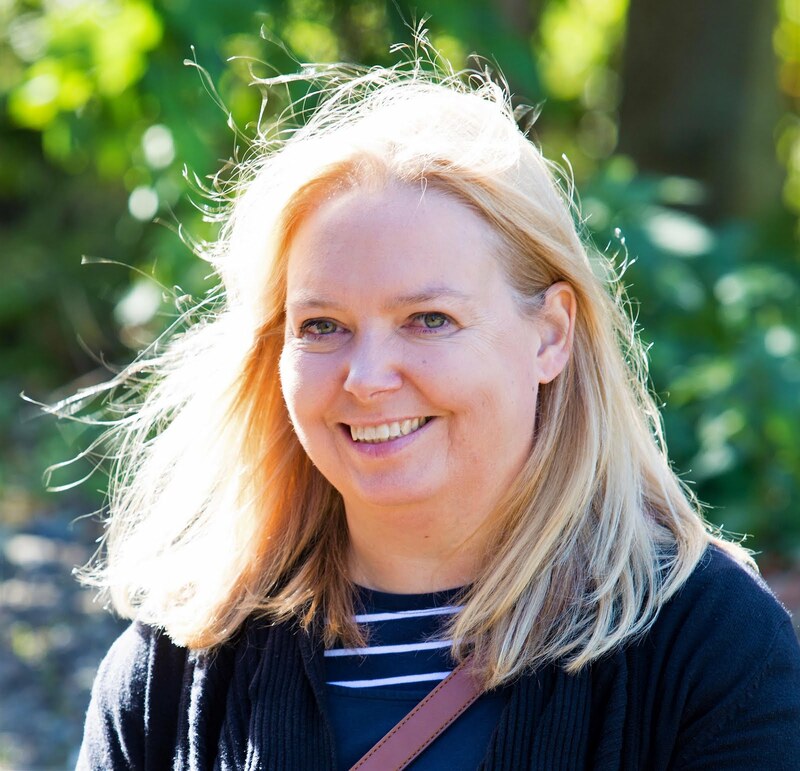 With a bottle of wine, two courses were plenty enough and we didn’t indulge in dessert but if the first two courses were anything to go by then they would be worth checking out. 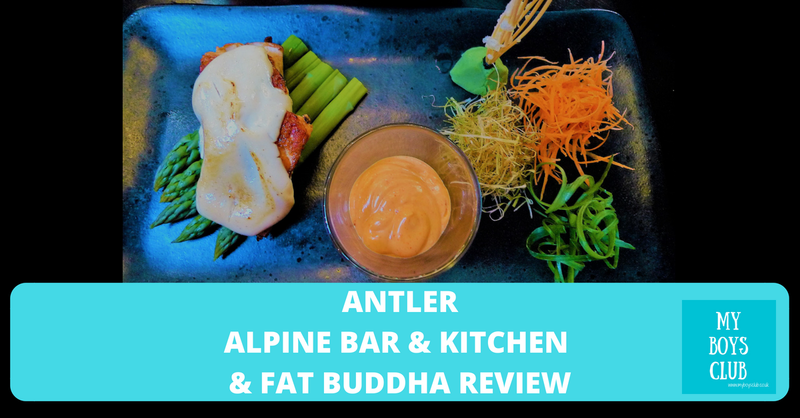 Disclosure: We were invited for complimentary food and drinks at both Antler & Fat Buddha in return for an honest review.